A former Great British Bake Off champion has revealed plans to replace his whisk with a wig and pursue a career as a family law barrister. 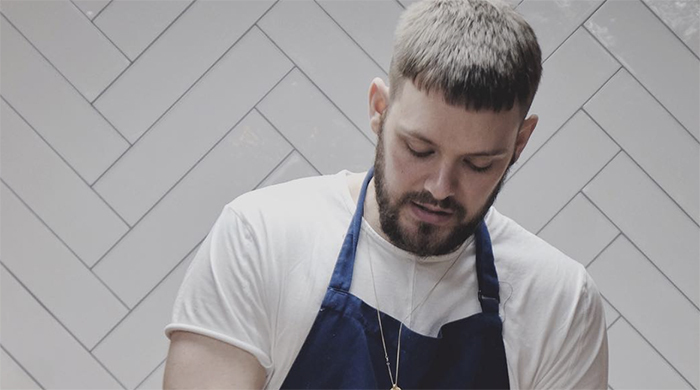 John Whaite, who secured a first in his LLB from Manchester University, shot to fame in 2012 after winning series three of the popular baking show. Having turned his back on law (or so we thought), Lancashire-born Whaite has gone on to release six cookbooks and make a string of TV appearances including ITV’s Chopping Block, a show he co-hosted alongside celebrity chef Rosemary Shrager. Despite Whatie’s on and off-screen successes, it now appears a career in law is back on the cards. The 29-year-old, who completed a vacation scheme at Eversheds (now Eversheds Sutherland) during his time at Manchester, has accepted a place to study the Bar Professional Training Course (BPTC) at BPP Law School in Leeds. Speaking to Legal Cheek, the Bake Off star explained how his years of presenting live television have helped him develop the confidence required to stand up in court and advocate effectively — confidence he accepts he lacked as a fresh-faced law grad. Can’t wait to teach another class @johnwhaiteskitchen tomorrow. Sad I’ll have to take a short break while I train to do my barrister course this September, but really want to keep the classes doing. So… if any of my food writing/chef buddies want to teach some classes up north, please do shout. Whaite isn’t the only legally-minded contestant to put his baking skills to the test in the famous white tent. Rav Bansal — who appeared on the show in 2016 — has an undergraduate degree in criminology and a masters degree in criminal justice. The post Great British Bake Off winner turns back on celeb cooking career to study the BPTC appeared first on Legal Cheek.